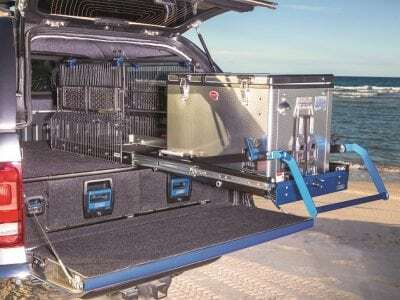 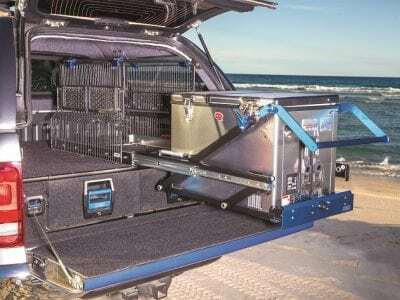 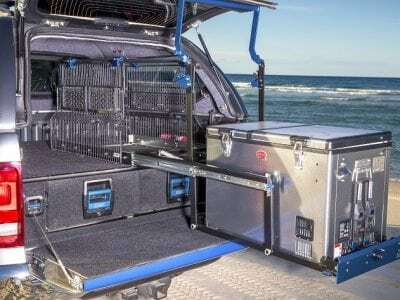 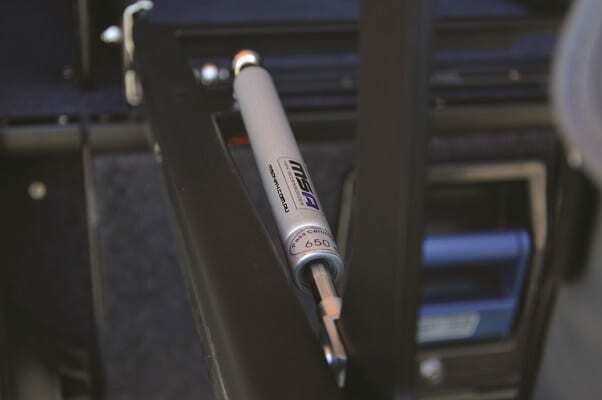 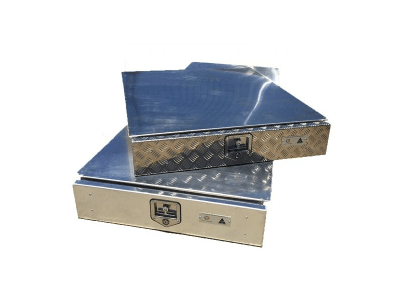 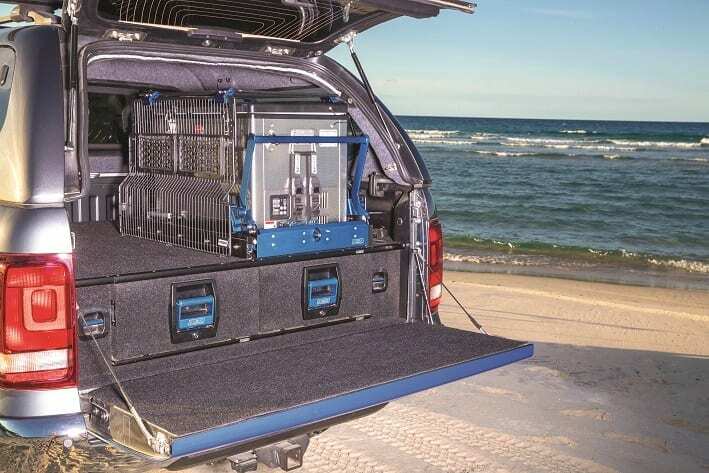 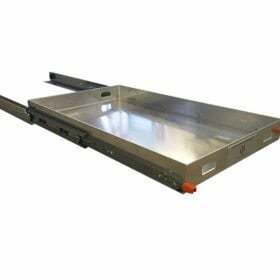 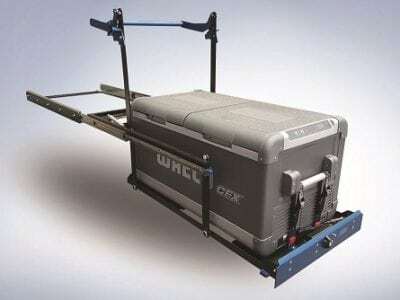 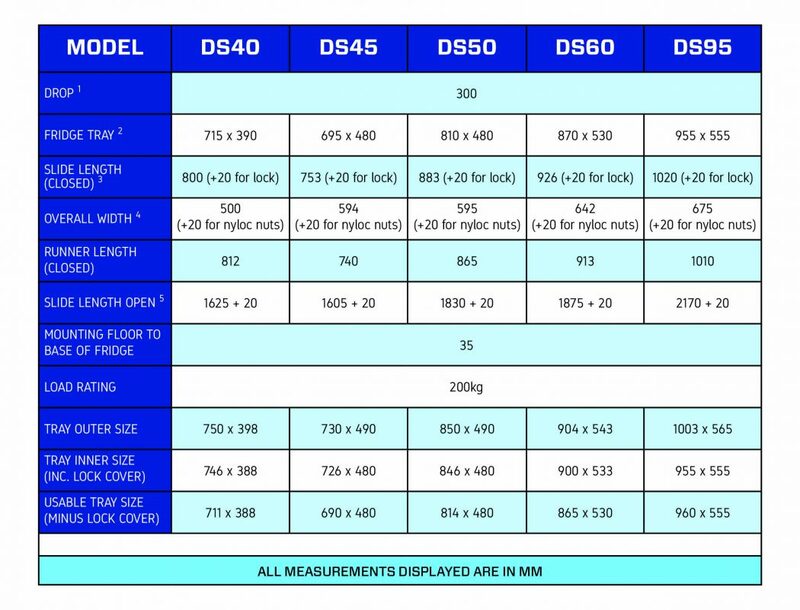 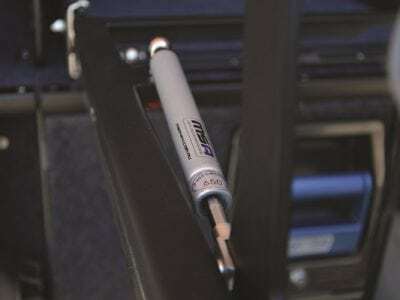 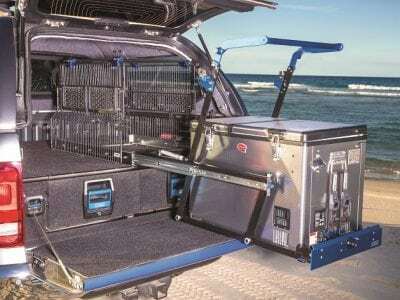 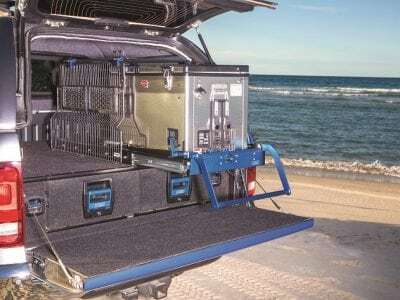 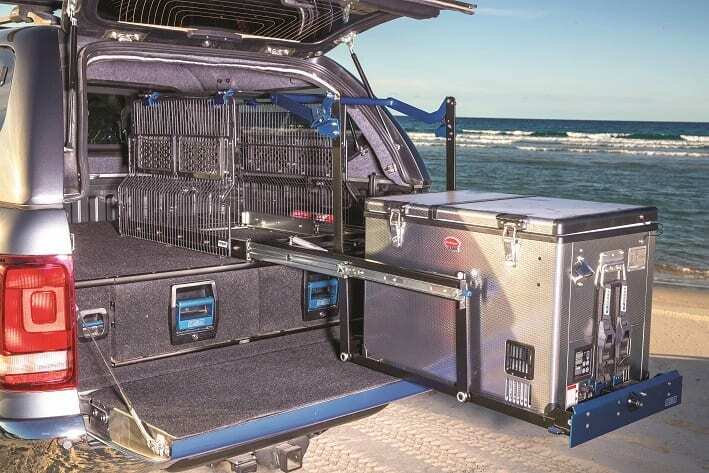 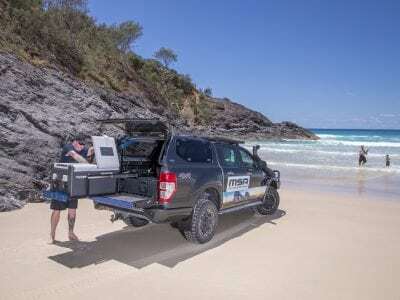 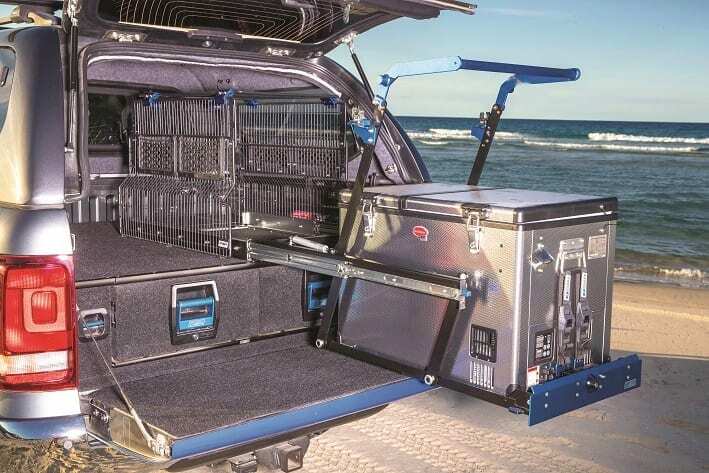 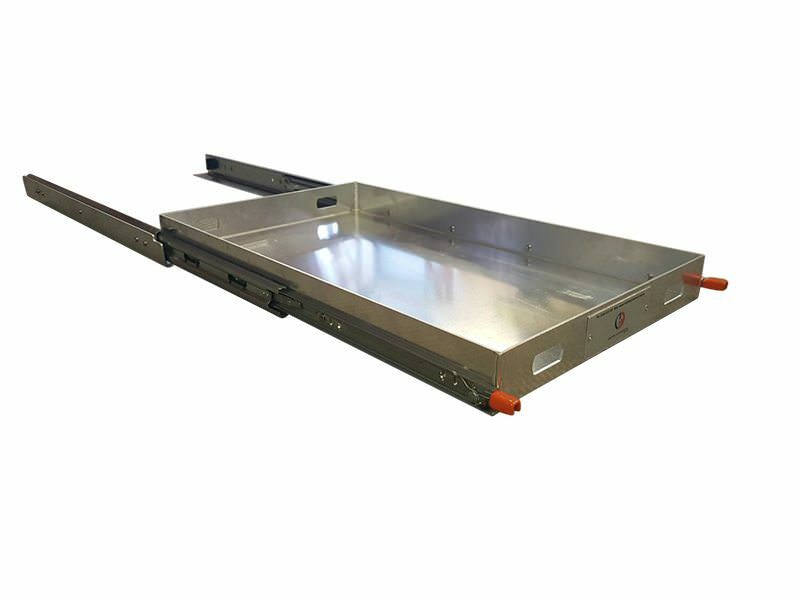 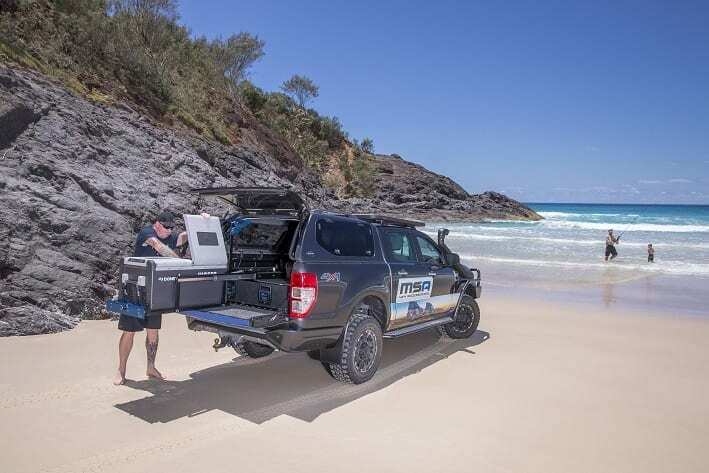 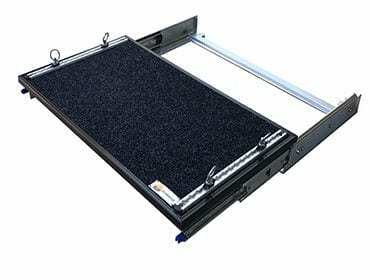 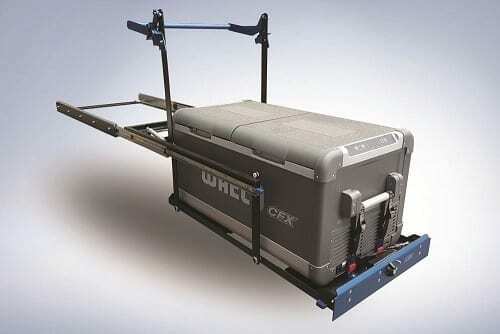 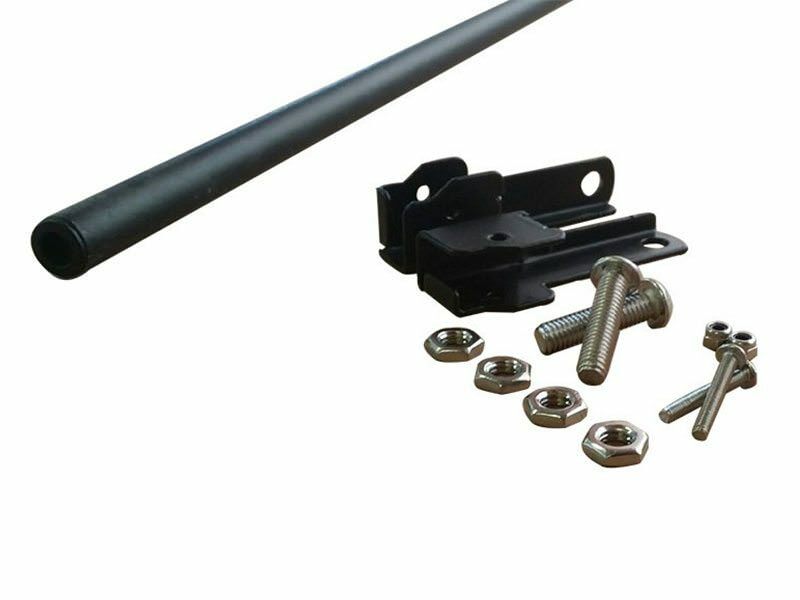 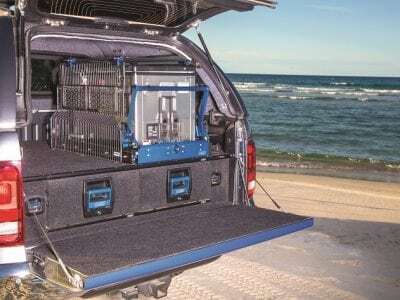 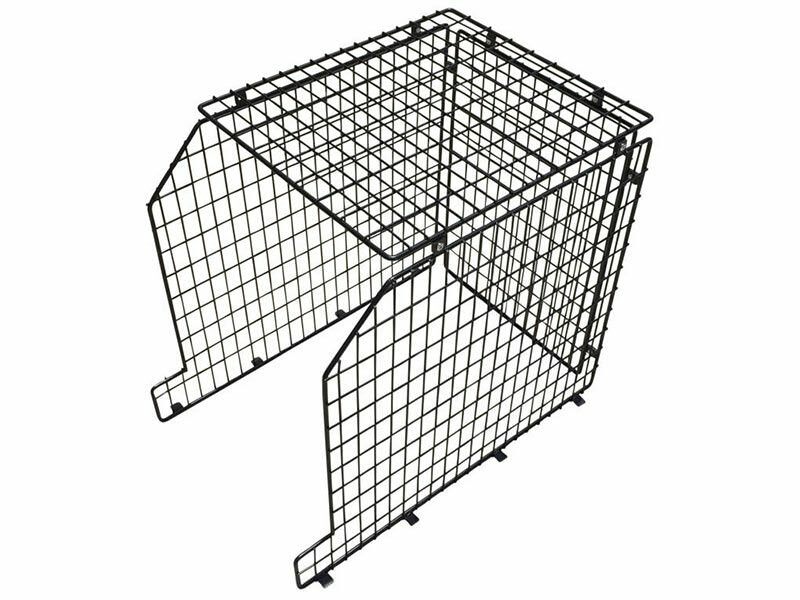 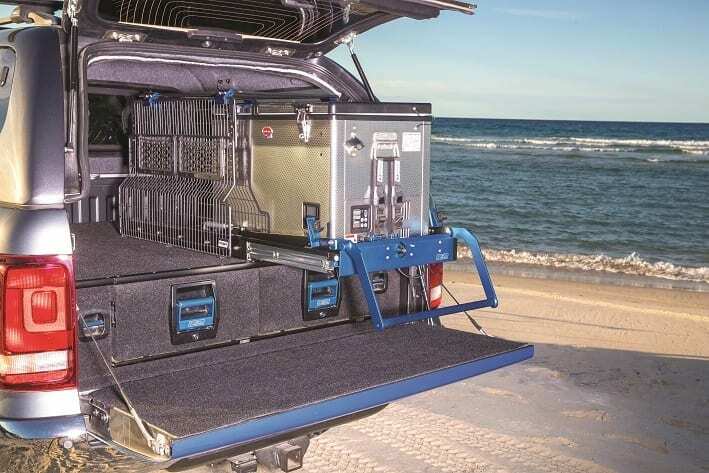 Drop down fridge slide, ideal for 4WD fit outs. 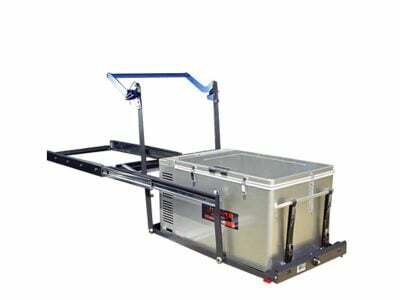 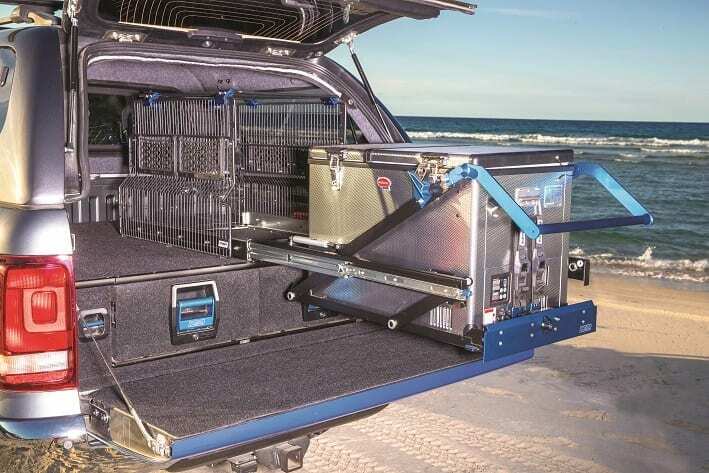 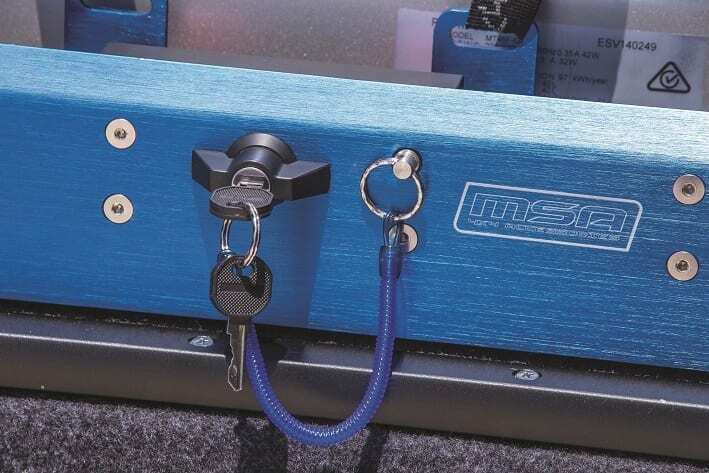 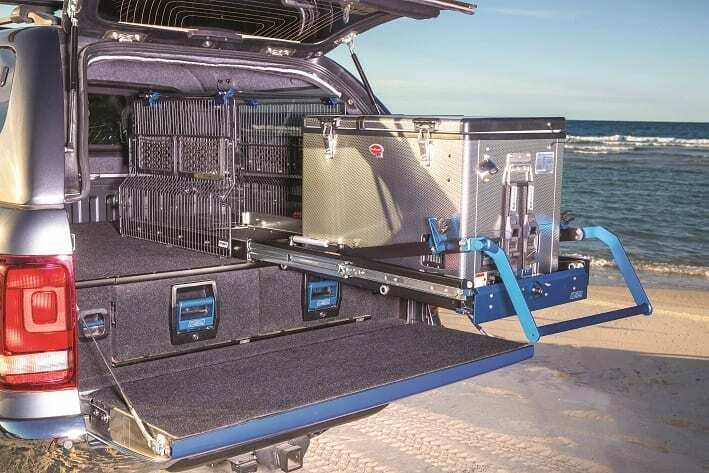 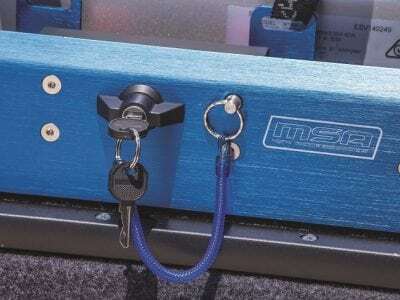 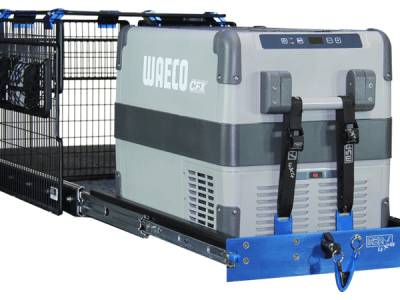 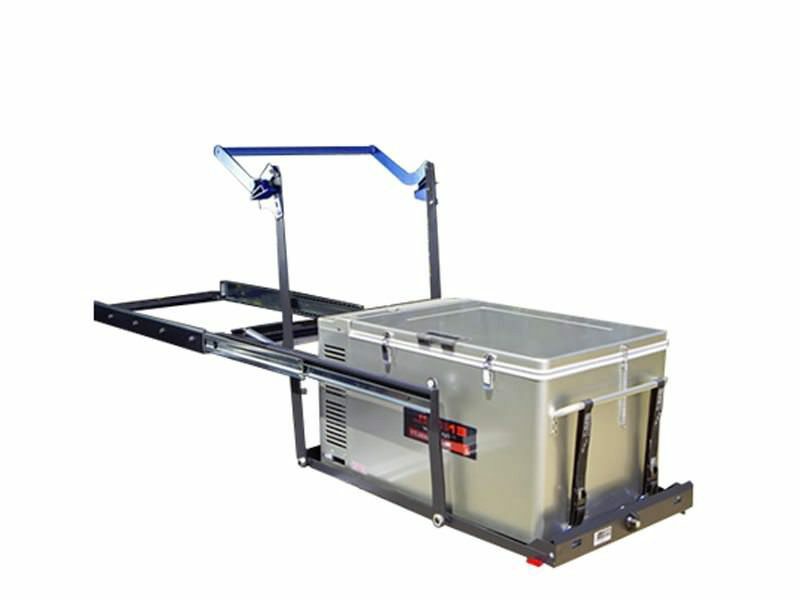 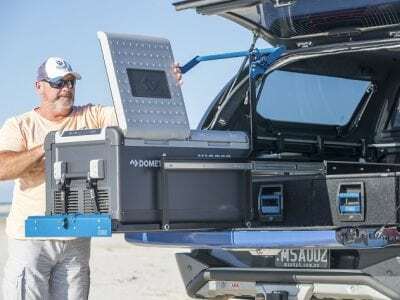 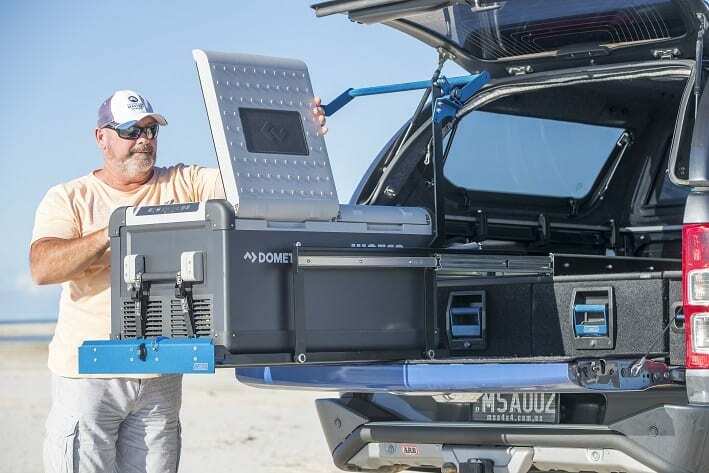 Our drop down fridge slide works well with vehicle cargo drawers. 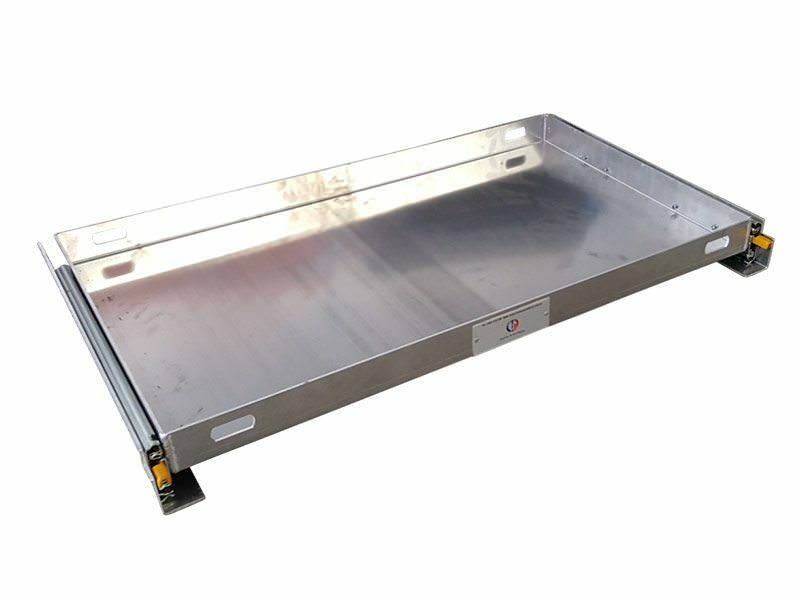 This quality Australian designed drop down fridge slide allows your fridge unit to lower to a more manageable and easy to use height.